The SWR has issued an invitation which mentions the Commencement of Construction of Road Over Bridge at THIRD Gate on 6th Jan. 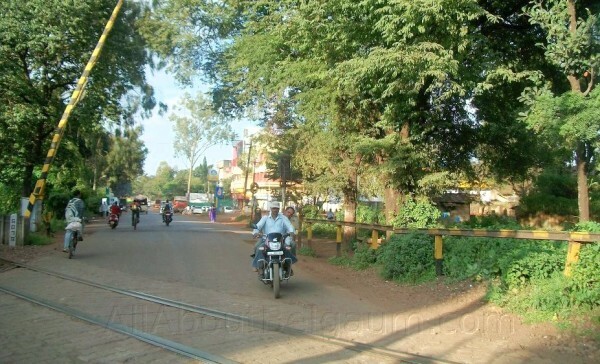 This is known as Level crossing No.381 (Third Gate), as per our sources, the RoB will be a 4 Laned RoB with Centre Pillars as the one on Old Dharwad Road. This will be the Fourth RoB after Kapileshwar, Old Dharwad Road and the recently opened Gogte Circle RoB. Now the issue of traffic diversion will arise as the said gate will be closed during the construction period which we assume to be around 18-24 months which is standard for such a RoB. The pillars would be in the centre of the Khanapur road and will span on each side of the gate. All the traffic from Udyambag wanting to cross over to Khanapur Road will have to make use of the Second gate. No official communication in this regard has been made by the Traffic police as yet. jan 25 , we need bridges in city also , kindly pay attension. please provide alternate roads than bridges . again congress road wil be same as before jan 25th.if third railway gate bridge started.